The East Asian westerly jet (EAJ), an important midlatitude circulation of the East Asian summer monsoon system, plays a crucial role in affecting summer rainfall over East Asia. The multimodel ensemble of current coupled models can generally capture the intensity and location of the climatological summer EAJ. However, individual models still exhibit large discrepancies. 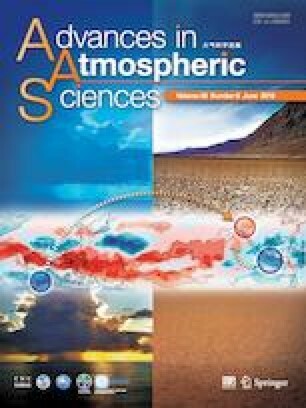 This study investigates the intermodel diversity in the longitudinal location of the simulated summer EAJ climatology in the present-day climate and its implications for rainfall over East Asia based on 20 CMIP5 models. The results show that the zonal location of the simulated EAJ core is located over either the midlatitude Asian continent or the western North Pacific (WNP) in different models. The zonal shift of the EAJ core depicts a major intermodel diversity of the simulated EAJ climatology. The westward retreat of the EAJ core is related to a warmer mid-upper tropospheric temperature in the midlatitudes, with a southwest-northeast tilt extending from Southwest Asia to Northeast Asia and the northern North Pacific, induced partially by the simulated stronger rainfall climatology over South Asia. The zonal shift of the EAJ core has some implications for the summer rainfall climatology, with stronger rainfall over the East Asian continent and weaker rainfall over the subtropical WNP in relation to the westward-located EAJ core. • The zonal shift of the EAJ core depicts a major intermodel spread of the simulated summer EAJ climatology. • The westward retreat of the EAJ core is related to the warmer temperature in the midlatitudes. • The zonal shift of the EAJ core implies opposite change in the simulated rainfall climatology between East Asia and the subtropical WNP. 东亚夏季高空急流是东亚夏季风的一个重要的中纬度环流系统, 它对东亚夏季降水有着非常重要的作用. 目前, 多模式集合平均能够很好抓住东亚夏季高空急流的基本特征, 包括其强度, 中心的经度和纬度位置; 但各个模式模拟结果之间差异显著. 基于20个CMIP5模式的历史模拟数据, 本研究揭示了不同模式模拟的夏季东亚高空西风急流气候态之间的主要差异及其对于降水的可能影响. 研究结果显示不同模式模拟的东亚夏季高空急流气候态的主要差异体现在其中心经度位置的不同, 其中心分别位于亚洲中纬度地区和中纬度西北太平洋; 急流中心的东西差异表征了模式间急流差异的主要特征. 急流中心的东西移动和欧亚大陆中纬度地区西南-东北向倾斜的对流层中上层温度分布有关: 模式模拟的中纬度温度偏高, 急流中心向西移动到亚洲上空; 反之, 模式模拟的中纬度温度偏低, 急流中心向东移动到西北太平洋上空. 急流中心的东西移动可能影响到模拟的东亚夏季降水分布; 急流中心西撤到亚洲大陆, 亚洲东部降水偏多, 副热带西北太平洋降水偏少. We thank the three reviewers and the editor for their valuable comments, which greatly improved our manuscript. We acknowledge the World Climate Research Programme’s Working Group on Coupled Modelling, which is responsible for CMIP, and we thank the climate modeling groups listed in Table 1 for producing and making available their model output. Zhongda LIN was supported by the National Natural Science Foundation of China (Grant No. 41775062) and the Youth Innovation Promotion Association (Grant No. CAS 2017105), and Yuanhai FU was supported by the National Key R&D Program of China (Grant No. 2017YFA0603802) and the National Natural Science Foundation of China (Grant No. 41675084).